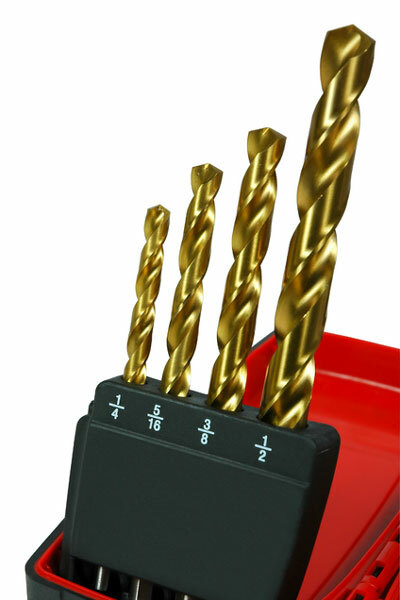 Four shiny drill bits in various sizes are displayed in a red and black drill case. Contractors and homeowners love the convenience of cordless drills. Choose a drill bit size, insert it into the drill, turn on the drill, and go to work. Unlike corded drills, there is no need to deal with bulky cords that limit where you use the drill. As long as your cordless drill is properly charged, you can use your drill far away from an electrical outlet. Whether you are making simple repairs or are involved in a complex construction project, a cordless drill will simplify your job. Use the search box on this page to find information about cordless tools, drills, and related topics.